Packing your entire home or office and relocating to a different city or state is never an easy task. Therefore you need the expertise of knowledgeable interstate movers Missouri to help you with the move. You need a team of experts that know how to deliver a high-quality moving, packing and storage service in record time. Best Cross Country Movers are both reliable and affordable cross country movers. And we are here to make your moving process stress free and positive experience. Amazing architecture of St. Louis. Interstate movers Missouri offer you full or partial residential moving. We will make sure to safely transfer your household. Best Cross Country Movers provide commercial moving with maximum efficiency and minimum business interruption. Also, we offer professional packing services. Hence, you will not have to think about how to label moving boxes properly or which packing supplies you should get. We are here to do that for you. Whether you need a place to store your belongings between the moves or just de-cluttering your home, storage will make your life easier. Therefore, cross country movers are here to provide you with premium storage services. Missouri residents have the opportunity to experience each distinct season. You can enjoy mild autumns, rainy springs, hot summers, and cold winters. In the state’s northern counties you can also expect snow between December and February. But most noteworthy, this state is a great place for those who love sunshine. 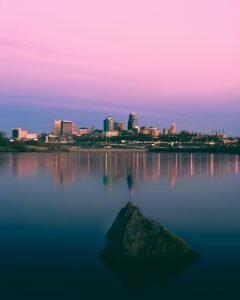 Kansas City, Springfield, St. Louis and Columbia are some of the sunniest cities in the U.S.
Interestingly, some of the best places to live in the U.S. are in Missouri. 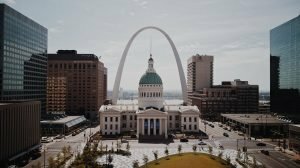 Columbia and St. Louis are some of the most attractive cities thanks to their incredible amenities, high-ranking health-care system, and affordability. Missouri’s major industries are health care, advanced manufacturing, social assistance, retail, financial and professional services, agriculture and bioscience. Top employers in this state include Washington University, Mercy Hospital Medical Centers and Boeing. The unemployment rate in Missouri is very low, lower than the national average. Most importantly, you can live comfortably in Missouri. The state’s median home price is less expensive than the U.S. average. Consequently, Missouri is one of the 15 cheapest states in America, according to experts. Furthermore, transportation and grocery costs are also slightly below the national average. Missouri is the home of the University of Missouri, also called “Mizzou”. This is the state’s largest and most comprehensive university and offers more than 300 degree programs. Additionally, it is one of only six public universities nationwide that has a medical school, veterinary medicine college, and a law school on the same campus. Also, Missouri has amazing public schools. Two high schools in St. Louis received gold medals from U.S. News & World Report. Overall, the state’s high school graduation rate is significantly higher than the national average. Long distance moving requires experience and knowledge. We are doing our business as interstate movers Missouri for many years now. Your requests are our mission and your satisfaction is our award. We are waiting for you.